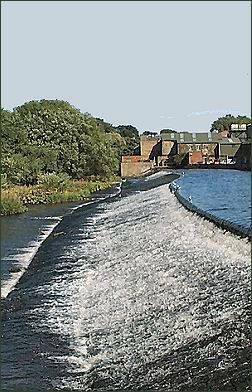 The attractive West Yorkshire market town of Otley lies on the River Wharfe and is situated around 9 miles to the north-west of Leeds and 10 miles north-east of Bradford. The town's name derives from the Anglo-Saxon Christian name Otho or Otta combined with the word leah, meaning a woodland clearing in Anglo-Saxon. 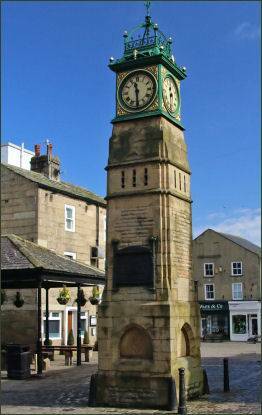 Otley was recorded as Ottanlege in 972, the Domesday Survey of 1086 refers to it as Otelai. The name of nearby Otley Chevin derives from a Celtic source from the Cumbric Brythonic language, the word cefyn, cefn or cefu means ridge. The name occurs often in Wales, in places such as Cefn Cribwr and Cefn Bryn in Glamorgan and also The Cheviot in Northumberland. The area has been inhabited since pre-historic times, evidence has been discovered of human settlement on both sides of the River Wharfe and it is thought that the valley has been settled at this site since the Bronze Age. There are also Bronze Age carvings on rocks on Otley Chevin. The majority of the early development of Otley dates from the Anglo-Saxon era, when it formed part of a large manor which was granted by King Athelstan to the see of York. The Archbishops of York had a residence in the town. Their palace was situated on the site were the Manor House now stands. Remains of the Archbishop's Palace were uncovered when St Joseph's School was being built. The town was granted its first charter by the Plantagenet king, Henry III in 1222. The famous cabinetmaker Thomas Chippendale was a native of the town, he was born in a cottage at the junction of Boroughgate and Wesley Street and his statue stands next to the old Grammar School that he once attended in Manor Square. The artist J.M.W. Turner visited Otley in 1797, at the age of 22, when he was commissioned to paint watercolours of the area. He so liked Otley and the surrounding area that he returned many times..He often stayed with his friend Walter Ramsden Fawkes, who lived at nearby Farnley Hall, just two miles from Otley. The stormy backdrop of his work 'Hannibal Crossing The Alps' is reputed to have been inspired by a storm over Otley Chevin. 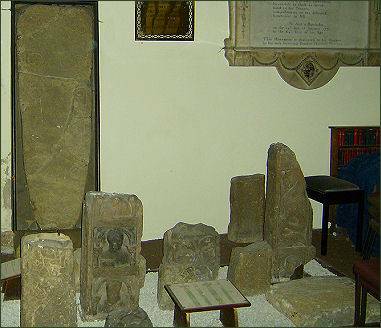 The first church in Otley was constructed in the early seventh century. The parish church, All Saints contains the remains of two early Anglo-Saxon crosses (pictured right) , one of which has been reproduced for the town's war memorial. All Saints Church dates from the twelfth century and was built in the Norman style, however little of the original survives to the present day, with the exception of the north doorway. The founder of Methodism, John Wesley, visited the town regularly in the eighteenth century. His horse is said to have died in Otley and is buried in the grounds of All Saint's Church. Its grave is marked by an unusual stone, known locally as the "Donkey Stone". 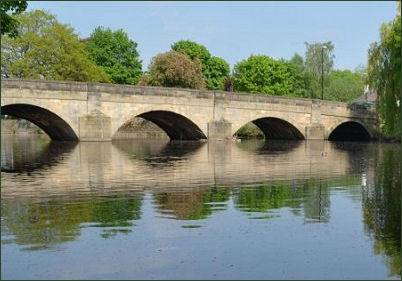 The beautiful Riverside Park runs along the banks of the River Wharfe, which flows through the heart of the town, the park provides stunnng walks, whilst the wooded hillside, rocks and moor land of Chevin Forest Park is a great favourite with visitors. The highest point of the wooded escarpment, known as Surprise View, rises to a height of 925 feet (282 metres) and provides superb views over Otley and Wharfedale. Otley hosts a street market three times a week, and a monthly Farmers' Market. The town boasts a wide range of specialist shops, award winning bakeries and butchers as well as high street chains. Otley's former nineteenth century Magistrates' Court is now a thriving multi-purpose space for all kinds of arts activities, concerts, workshops and meetings. The unique arts and resource centre has a fully equipped multimedia suite and is fully accessible throughout. The award winning Otley Tourist Information Centre provides a range of services for both visitors and local residents. Otley hosts the annual Otley Folk Festival in September, a Victorian Fayre in December, a carnival in June, and, in May, what is reputed to be the oldest one day agricultural show in the country. This celebrated its bicentenary in 2009. There is also a beer festival which is held in November. 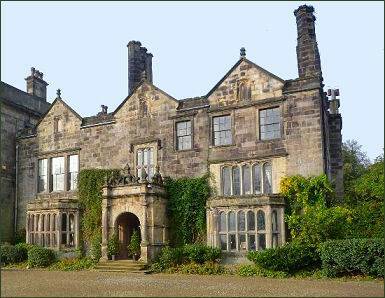 Farnley Hall is situated around 2 miles from Otley. Additions were made to the original early seventeenth century house in the 1780s by the architect John Carr, who also responsible for the design of the more famous Harewood House. The house comprises of an eighteenth century square block with earlier and later L-shaped wings at the rear. Francis Fawkes, a relative of the infamous Guy Fawkes, lived at Farnley Hall in the 1780s. Following his death in 1786, the hall passed to Walter Hawkesworth of Hawksworth Hall, who adopted the surname Fawkes by Royal Licence and commissioned John Carr to build the new range alongside the old.
. Ramsden Fawkes possessed over 250 Turner watercolours and 6 large oil paintings. A selection of Turner's works from the Farnley Hall collection were sold in 1890 for £25,000. Nicholas Horton-Fawkes owned and carefully restored the house until his death in 2011 and served as President of the Turner Society.